If you are already following my dollmaking journey on my Instagram account here, you probably already know, that I am taking part in the Instagram challenge called #marchmeetthemaker. 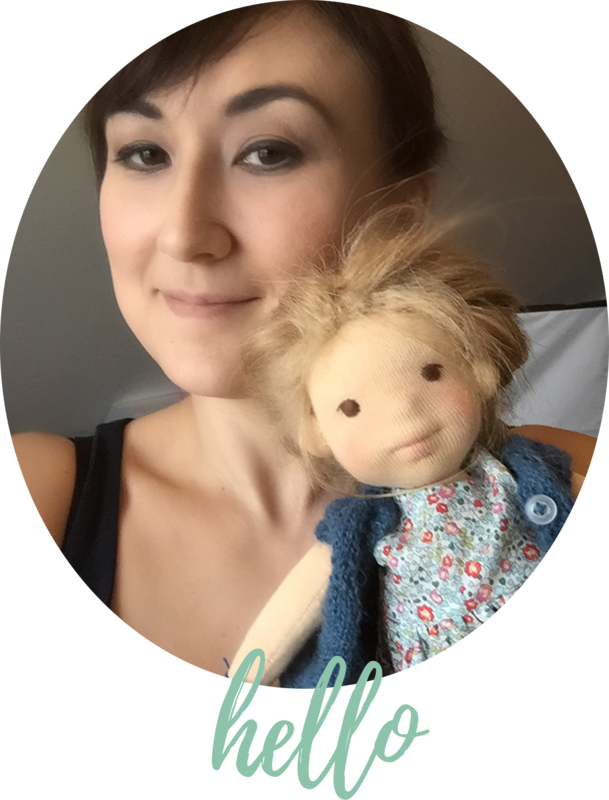 Like I already wrote in my last blogpost it is all about meeting the maker behind (the doll). And although doubted my endurance and commitment at first, it turned out to be quite fun and I did not miss a day yet. For the prompts were wonderfully varied; for example the task for day 18 was to create a short time-lapse video with the hyperlapse app on the mobile phone. So sure enough I wanted to show the needlefeting of one of my doll’s heads. However, I have just filmed the beginning of the process for the clip, since in real-time this was already adding up to being 25 minutes long! Accelerated to three and a half minutes (or to only one minute for instagram that is), it turned out look quite differently. Also I do not always felt over the gaze of the already tied head, but sometimes I do felt the head right away and then first cover it up with the gaze and afterwards pull in the mouth and nose line with yarn. 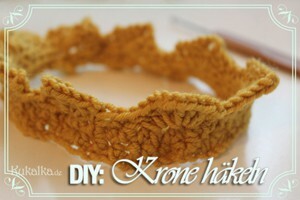 And I do have a slightly different technique when felting smaller heads rather than when I do larger ones, etc. So this can only be a small insight into the possible beginning of the work on such a felted doll head. 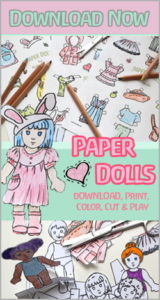 After all, the video gives a little view into how to begin to work out the physiognomy on the dolls face by starting with adding wool bit by bit, adding some for the nose and chin and then working your way on the lips. 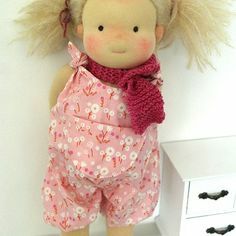 Surely every dollmaker, who uses the needlefelting technique on a doll has her own preference and go about. I am fascinated by the possibilities of further development, which the needle felting technique opens up in dollmaking (I have already blogged a bit more about it here, here and here). 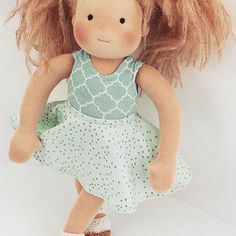 I however, like many of my dollmaking colleagues, do not only needlefelt the face but find it often fitting to corresponding work on the other parts of the dolls body as well. But also a cute, round felted dolls bum or belly can be so adorable. The possibilities are as diverse in their own degree of elaboration as in form itself. 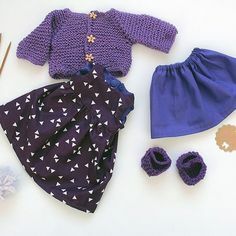 I like to think the options are endless and am fascinated by the way a felted doll can look so different and uniquely endearing compared to the “classic” ones. Whether you like it personally or not, is like often just personal preference. I also do think both have their own charm and the right to exist because more so often less is more. But does this necessarily mean that they are mutually exclusive? 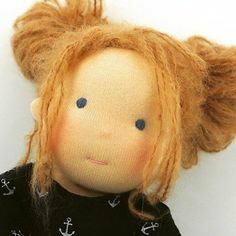 What are your experiences with felted ooak dolls? I am curious: Do you prefer the classic type or do you like the dolls to be to more detailed? 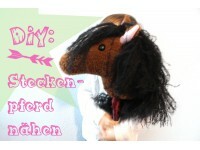 Das Video ist mega gut. Ich würde gerne noch mehr sehen. 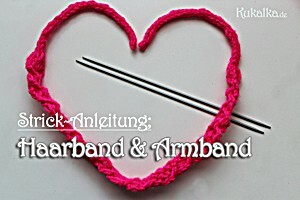 Gibst du eigentlich Kurse ? Kurse gebe ich derzeit nicht – evtl dann ab Herbst wieder (in NRW).